Stem cell transplants transfuse healthy cells into a person after his or her own unhealthy bone marrow is treated to kill the abnormal cells. Stem cell transplants, also known as bone marrow transplants, are used successfully to treat people with life-threatening blood cancers and other rare blood diseases, giving people a second chance at life. More formally known as hematopoietic (of the blood) stem cell transplants, these procedures transfuse healthy cells into a person after his or her own unhealthy bone marrow is treated to kill the abnormal cells. Dr. Joshua Sasine, an oncologist at UCLA’s Jonsson Comprehensive Cancer Center and director of UCLA’s CAR T cell program, shares essential information about these lifesaving transplants. In order to qualify for a stem cell transplant, your medical condition must be sufficiently dangerous to your health to warrant the risks of the procedure. The most common diseases people have that justify the transplant include, but are not limited to: acute myeloid and lymphoid leukemias, aplastic anemia, Hodgkin's lymphoma, diffuse large B-cell lymphoma, multiple myeloma and myelodysplastic syndrome. What are the side effects of the transplants? How do you prepare patients for a transplant? Prior to the procedure, patients undergo a conditioning regimen. It is composed of chemotherapy and/or radiation and meant to destroy the patient’s own bone marrow (and any residual cancer along with it, if the patient has cancer) and allow the body to accept the donor cells. What are the different types of stem cell transplants? There are two types of transplants: autologous and allogenic. The autologous version of the procedure uses cells from the patient; the allogeneic version uses cells from a donor. Where do the donated stem cells come from? A patient can receive cells from a few different types of donors. The main categories are matched sibling, matched unrelated, haplo (or "half-matched") related, and cord blood. Some also use mismatched unrelated donors but this practice is uncommon outside of a clinical trial due to the frequency and severity of complications that arise, mainly graft-versus-host disease. A fully matched sibling is the preferred donor type, followed by matched unrelated (a donor from the registry). 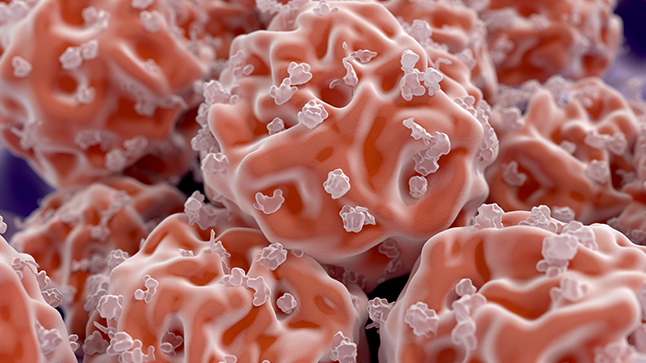 How are blood-forming stem cells collected for the transplant? For cord blood, the cells are taken right after birth and then frozen for storage. For other donors, the cells typically are collected from the donor's blood after the donor is given a drug or combination of drugs to mobilize the stem cells out of the bone marrow into the blood. It’s rare for the cells to be taken directly from the bone marrow in a surgical procedure. What are the pros and cons of using umbilical cord blood for a transplant? The main advantage of cord blood is that is opens the door to transplant for those who would not normally have a donor. Cord blood requires less immunological match than other sources. The downside is that they generally take longer to engraft, increasing the risk for infections. The rate of graft failure is also higher than a matched sibling. If that occurs, the patient could be left without other options. This scenario, though rare, is very serious and often fatal. What makes someone a perfect donor match? There are many immune system genes we search for routinely to determine the "best" donor in patients with multiple donor options. To be a full match, they need to share all these immune genes. If a sibling is not a match, we search the donor registry. If no match exists there, we evaluate haplo and cord options. Does a patient's ethnic background affect finding a donor? Ethnicity is not a factor directly. By that, I mean that it's not a variable that goes into the match equation. If your donor is from a different ethnicity, that's ok. It turns out that the likelihood of finding a match is related to ethnicity though. For example, the chances of a patient from European descent finding a match in the registry is higher than someone of African ancestry. This is partly related to the number people in ethnicities who volunteer to be on the registry, but it is also due to the relative immunological similarly within certain populations compared to others. This underscores the importance of increasing the donor pool in the registry, especially from underrepresented ethnicities. If you aren’t yet registered, please contact the National Marrow Donor Program to make yourself available to patients who might need your help!